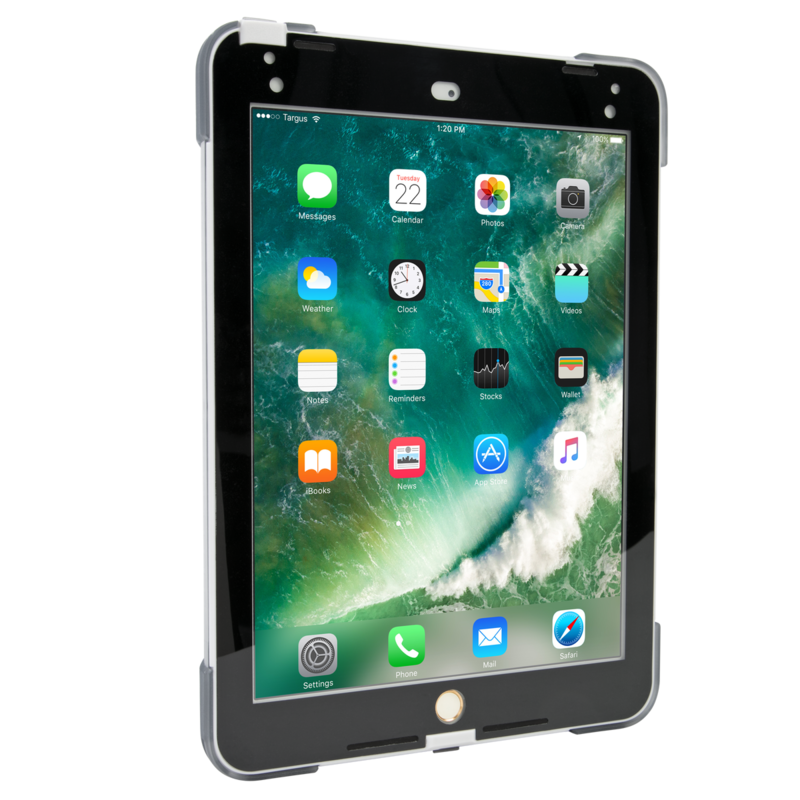 Get the ultimate in protection and versatility without the bulk for your iPad® (2017/2018), 9.7-inch iPad Pro®, or iPad Air® 2 with a military-grade case that’s made to withstand shock, water, drops, and other hazards. 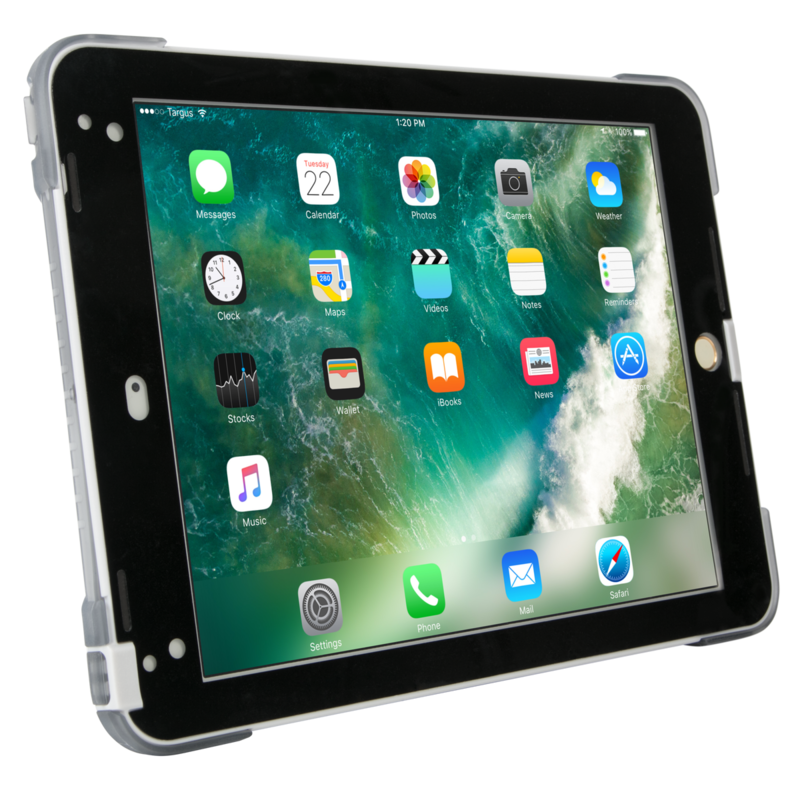 Whether it’s while traveling, in the office, or at a remote job site, the Targus SafePort® Rugged Case keeps your iPad® (2017/2018), 9.7-inch iPad Pro®, or iPad Air® 2 protected. 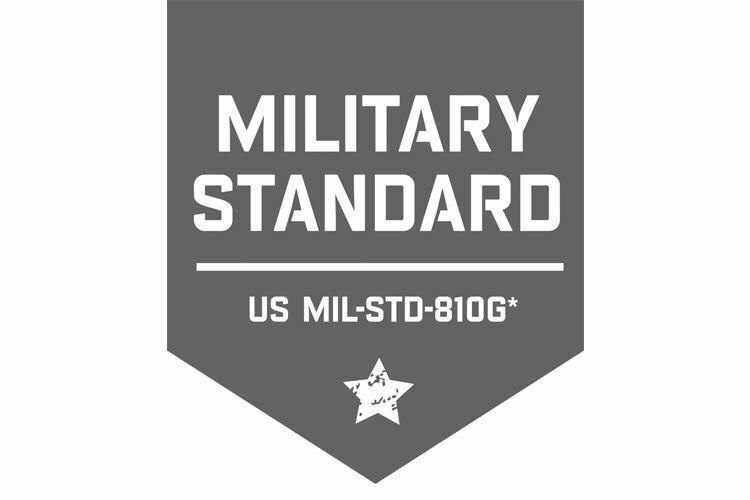 From its hardened polycarbonate shell with shock-absorbing materials to the advanced corner and side protection, it meets the rigorous MIL-STD-810G standards that protect from harsh environmental conditions, sudden drops, and accidental slips. 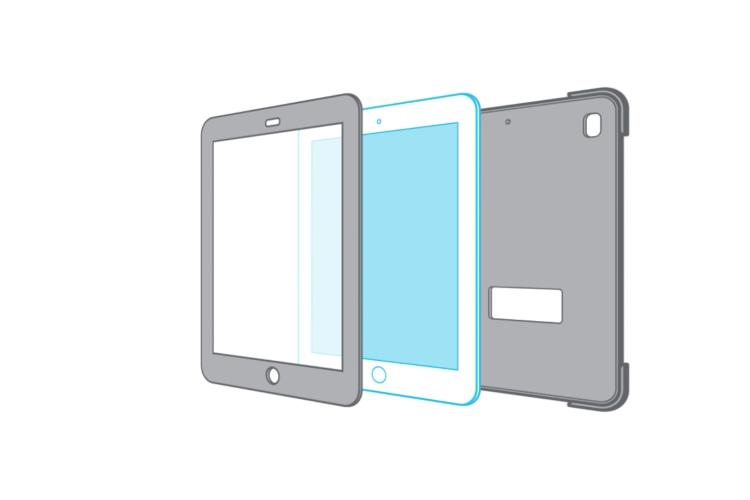 And that’s all in a thinner, lighter design. 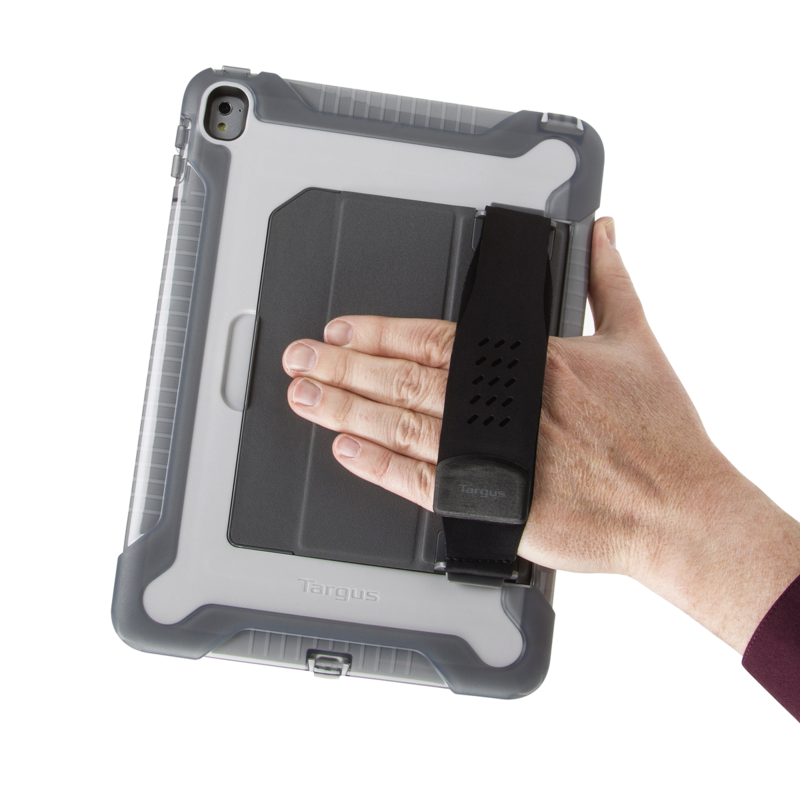 An integrated stand for landscape viewing and typing positions adds versatility and hassle-free portability. 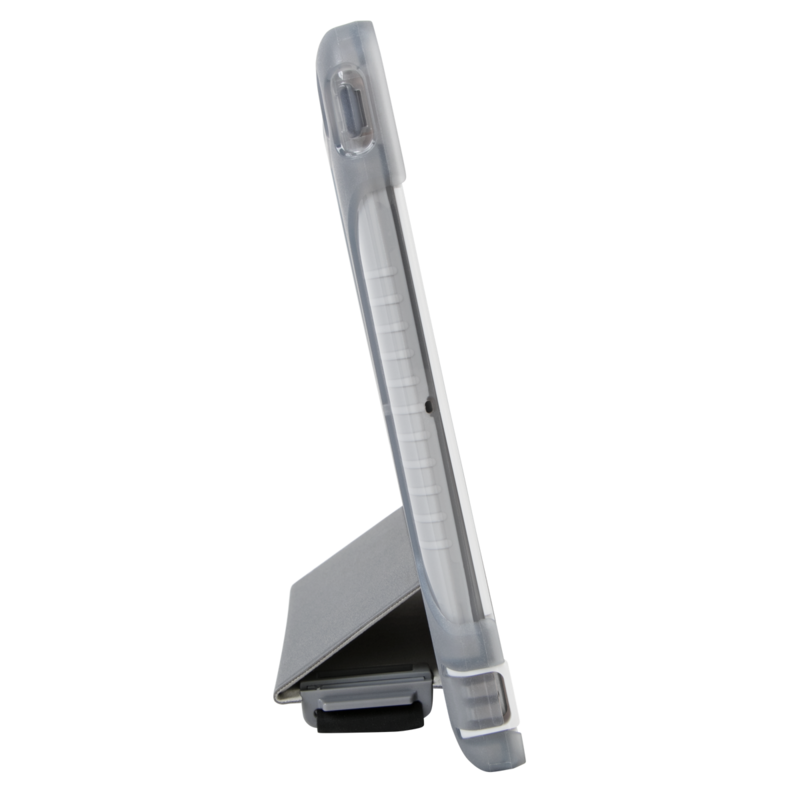 The stand seamlessly slides open with just one hand and sits firmly on nearly any surface thanks to its hinge-less design. 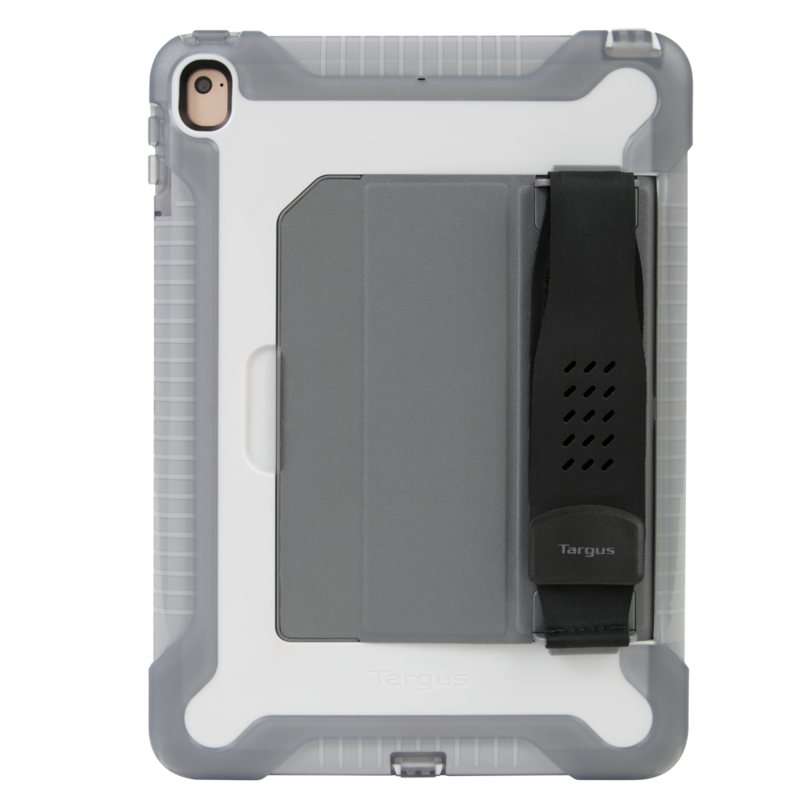 Connect the soft neoprene hand strap and your iPad becomes more accessible and secure than before. 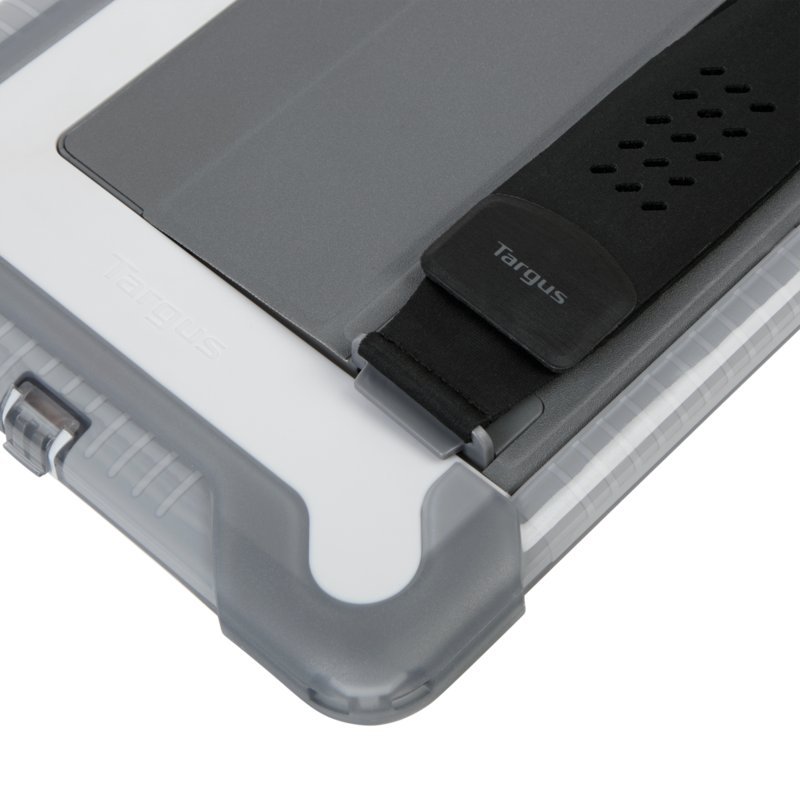 Minor drops and bumps are no problem for this case — despite its slim size. 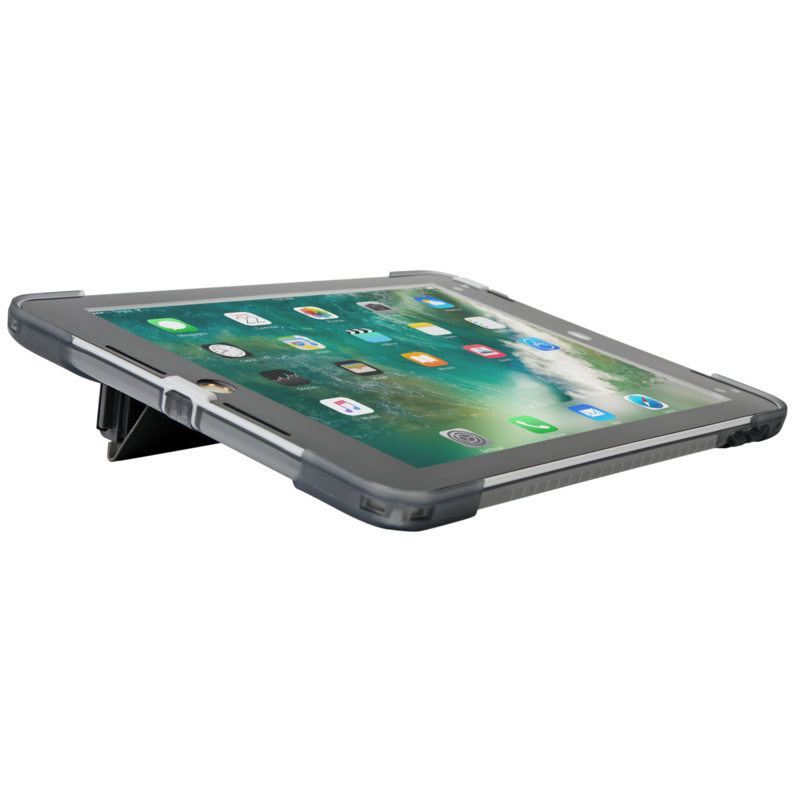 In fact, the SafePort® Rugged case passes rigorous MIL STD 810G testing to ensure it can protect your Surface Pro from drops up to 4 feet for added piece of mind. 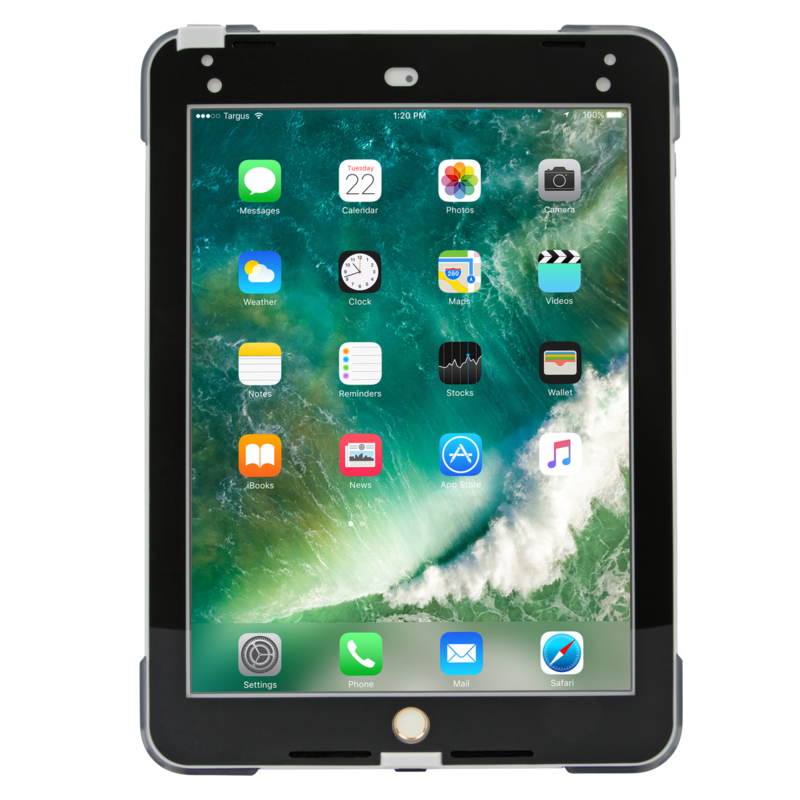 Its dual-layered design includes a soft-touch silicone tray that snaps into place as well as protective polycarbonate panels. 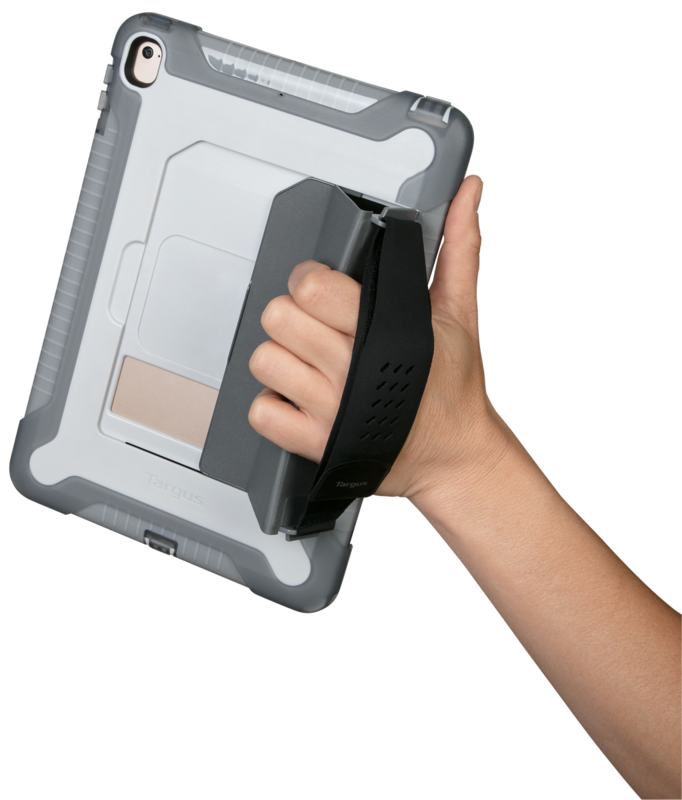 Precision cutouts give complete access to ports, buttons, and controls. 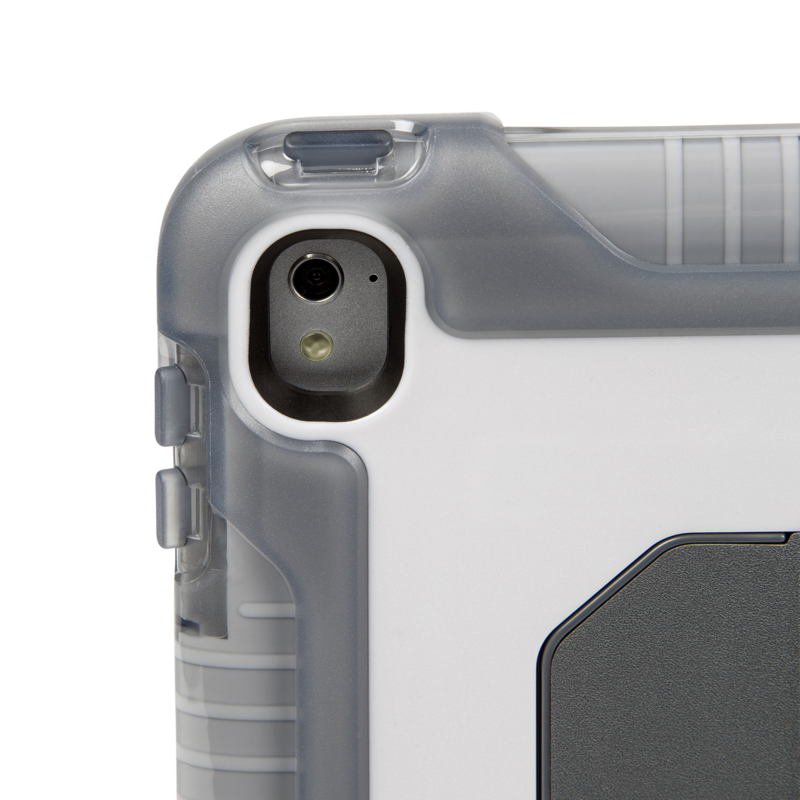 Camera and sensor cutouts ensure you get the best shot — even with the case on. 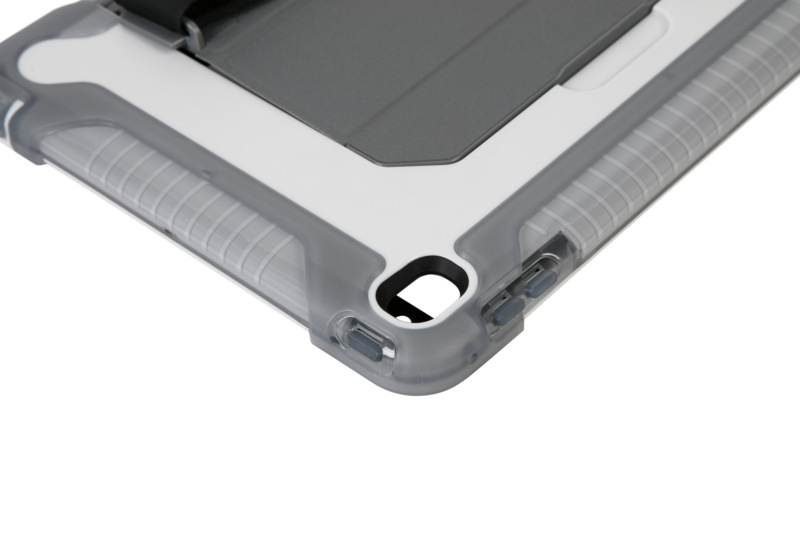 With an integrated stand, you can adjust the viewing angle without removing the case. 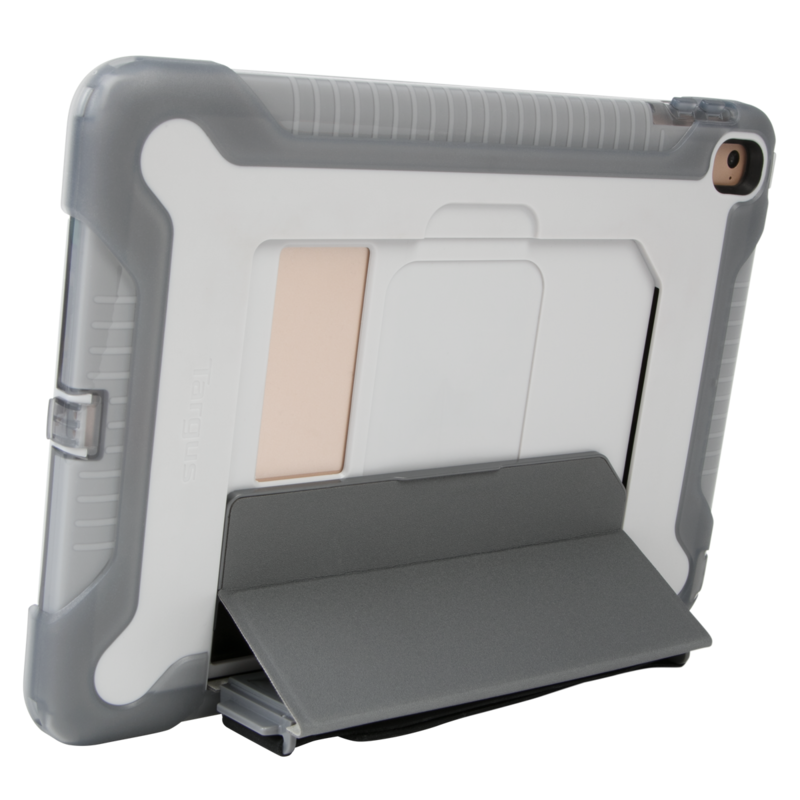 It seamlessly slides open with one hand. 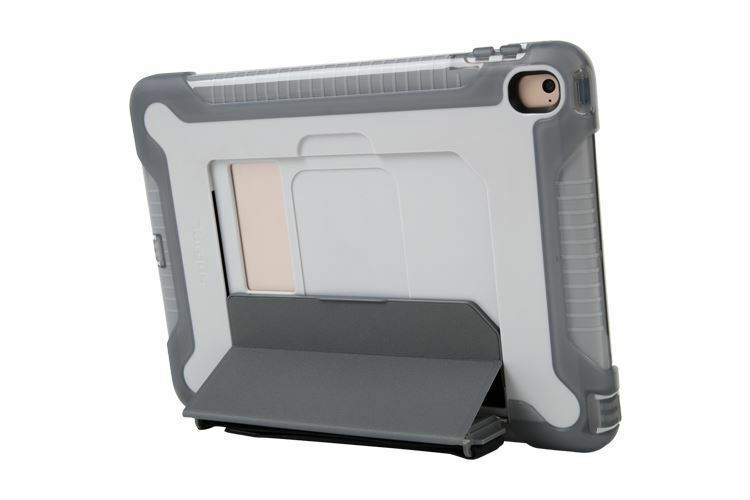 Thanks to its hinge-free design, it’s also less likely to break when dropped. 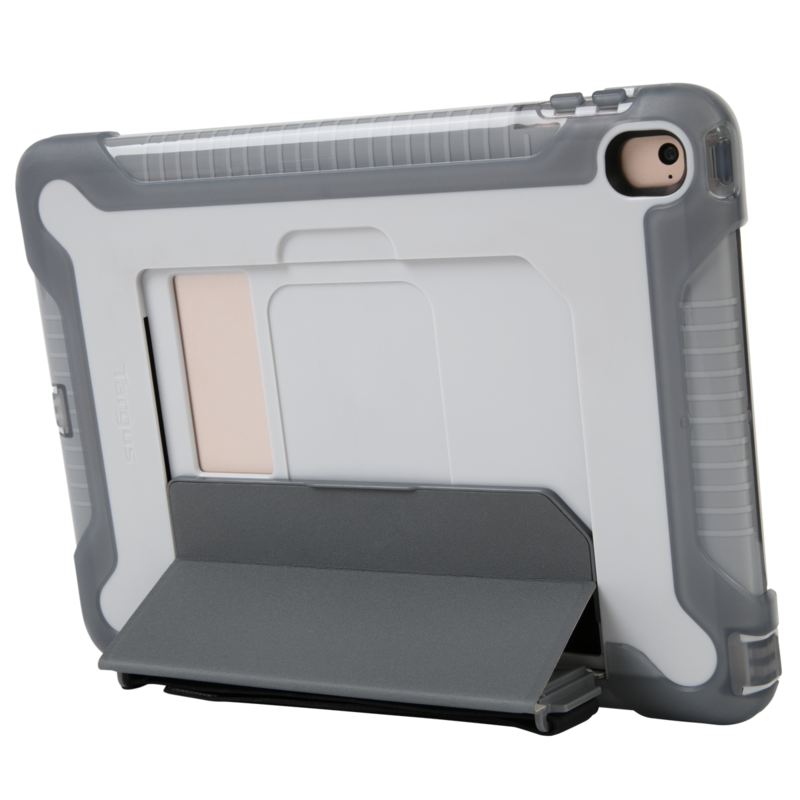 The silicone edges resist slipping, so, whether you swipe or type, the SafePort Rugged holds firm. 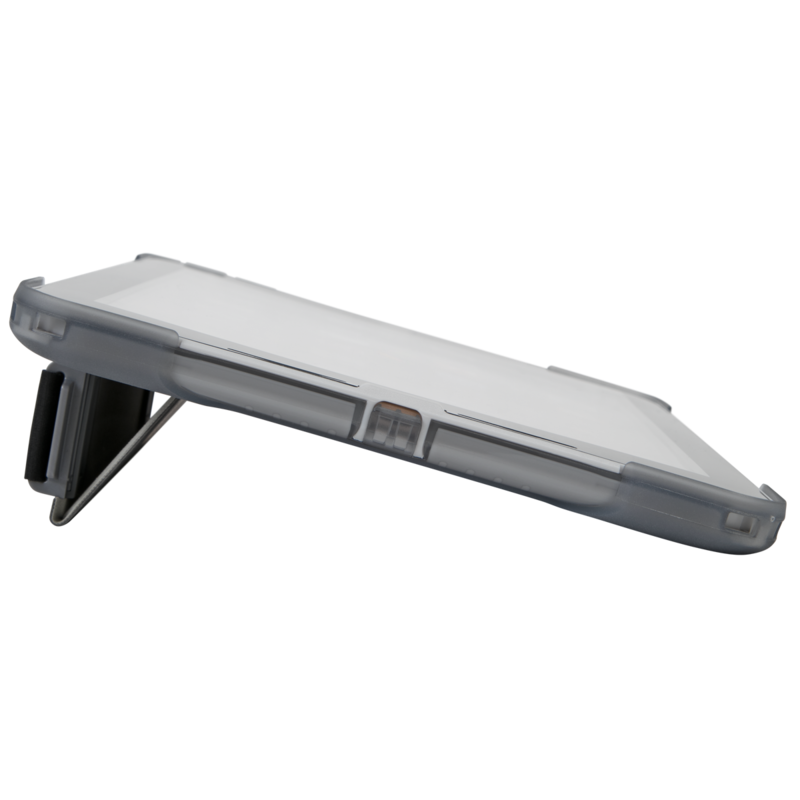 Hand-strap for one handed use in the field.